Dale Davis of Punta Gorda, Fla. got into Naval aviation on June 8, 1945. It was two days after Lt. Col. Paul Tibbets dropped the first Atomic Bomb on Hiroshima, Japan from a B-29, four-engine bomber named for his mother–Enola Gay–ending World War II. 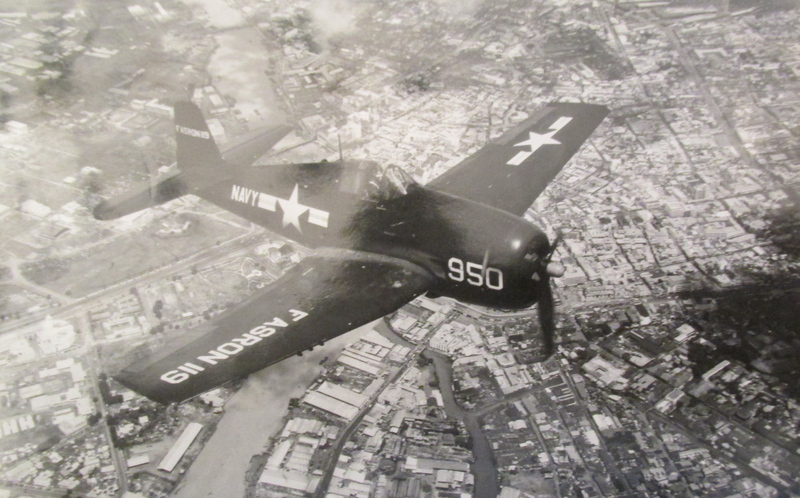 Like hundreds of young aviators before him, he wanted to fly Navy fighter planes. The Navy had other ideas. They put Davis in multi-engine aircraft. 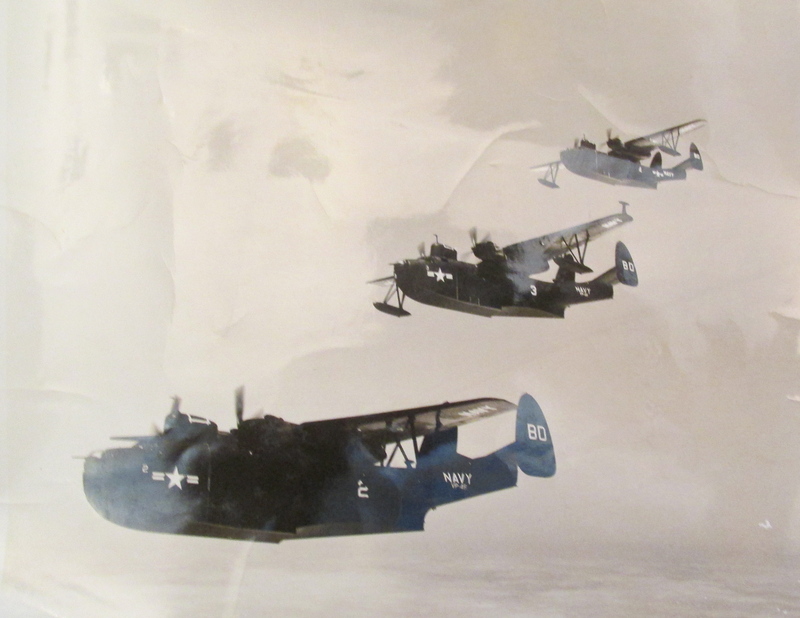 He became a navigator aboard a PBM twin-engine “Mariner” seaplane that flew low and slow. It was their job to ride herd on America’s naval shipping in the Pacific. Davis and his crew spent a lot of time taking pictures of cargo ships as they chugged along at eight or 10 knots far below them. On a flight to Iwo Jima Davis got a chance to embarrass the whole crew. He was still the fellow in charge of getting them from Point A to Point B. “This is before we knew anything about the jet stream. As we approached Iwo our skipper was trying to stay above the clouds and had to fly higher and higher which put us in the jet stream,” he explained. “We pressed on and thought we should be coming up on the island but saw nothing. “Our skipper, who realized we were lost, replied, ‘Fine. Send ’em on.’ Boom, the two fighter popped up on either wing. We followed ’em back to base and when we landed we discovered we were more than 100 miles off because of the jet stream. By June 1950 his PBM squadron rotated back to San Diego. It was just about the time the North Korean Army marched into South Korea and started the Korean War. On the outside he got work installing aircraft instruments in fighter planes. All the while he was writing the Navy explaining why they really needed to rehire him and let him fly again. “Eventually I got a letter from the Navy recalling me. I became part of a training unit that taught new people how to fly PBMs. After 18 months I was sent to Alameda to be embedded with a group of P-2 Neptune pilots who were having a tough time learning to fly PBMs,” Davis said. “My new squadron was sent to a base at Manila in the Philippines. It was 1952 and the Korean War was still going on. We were sent out to fly cover for our shipping in the Pacific,” he said. “We would fly down to the bottom of the Straights of Taiwan. Then we would turn around and fly back taking pictures of all the shipping we flew over during the flight. “We would also overfly Chinese Navy ships who weren’t too happy about it. As we flew by they tracked us with their guns,” he said. The closest Davis and his PBM crew came to a shootout with the enemy came in 1954 during the First Taiwan Strait Crisis. Chinese and South Korean troops were arguing and then fighting over the ownership of a couple of small islands in the Formosa Straits—Quemoy and Matsu. “Then there was the argument we had with the commodore over flying our PBM into a typhoon. He wanted us to fly through a serious storm, but our skipper said, ‘No.’ He was taken off the flight and I became the pilot for the trip. “The purpose of our flight was to check on our shipping, but because of the storm none of our ships were at sea,” Davis noted. “Even so the commodore ordered me to make the flight. “The storm was so bad it took us an hour-and-a-half to fly 70 miles into the storm. On the return trip we made the flight back in 20 minutes,” he said. “When I landed I was going to take on the commodore and let him know how he had endangered our crew for nothing. “However, our skipper met me on the tarmac and convinced me otherwise,” Davis recalled after more than half a century. “In 1953 I finally got out of seaplanes. I went to work for a service outfit that trained fighter pilots how to fly by instruments. I taught students instrument flying in my twin-Beechcraft flying out of Alameda Naval Air Station,” he said. In 1956 Davis changed his life radically. He got out of the regular Navy and went to work part-time for the Naval Reserve. By the time he retired from the Navy completely he had served 11 years in the regular Navy and another 14 in the Reserves. At the same time he lucked out and got a civilian job working as a pilot for Trans World Airlines. When he retired from the Navy in 1970 he was a commander and the skipper of a P-2 squadron of patrol planes at a Navy base in New York State. 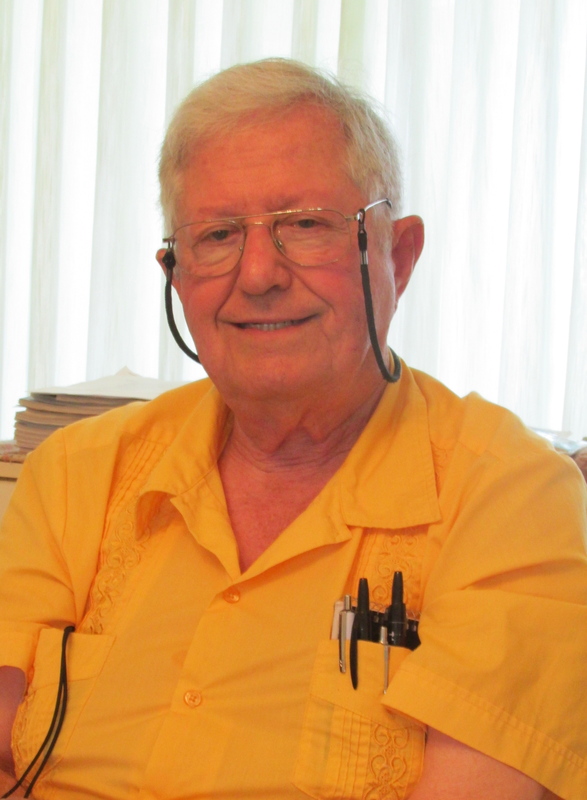 He and his wife, Joan, moved to Punta Gorda in December 1976. They have four children: Kathleen, Carol, Karen and Kevin. This story published in the Charlotte Sun newspaper, Port Charlotte, Fla. and is republished with permission. Click here to view Davis’ collection the Library of Congress. The picture is a picture of a F6F Hellcat not a F4F Wilcat. I always loved the PBM Mariner.